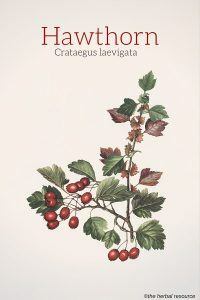 Botanical Name: Crataegus laevigata, Crataegus monogyna. Crataegus is a large genus of plants that belong to the rose family (Rosaceae) and contains around 280 species. About 60 species are native to Europe and Asia and more are endemic to North America. These species cross breed easily with each other and thus exhibit an endless variety. There are few plant species that confuse botanists more than hawthorn. It is mostly common hawthorn (Crataegus monogyna) and English hawthorn (Crataegus laevigata) that are used interchangeably in herbal medicine. Those two species have the same health properties and medical application. Other Common Names: Mayblossom, hedgethorn, maybush, mayflower, whitethorn, majuelo (Spanish), aubépine (French), Hagedorn (German), snæþyrnir (Icelandic), almindelig hvidtjørn (Danish). Habitat: Hawthorn is usually grown from cuttings as the seed can take eighteen months to germinate. This woody tree or shrub grows in temperate regions in the Northern Hemisphere. And as one of its common names implies, hawthorn is often used as a hedge. Plant Description: Hawthorn grows to a considerable height of 10m, and is known to live to a great age. The white rose-like flowers attract carrion insects, such as flies, as the pungent smell of decomposition is a factor in the flower’s aroma. Plant Parts Used: Dried haws or berries, green stems, flowers, and leaves. Occasionally the bark has been used as herbal medicine. The collection of the plant for commercial medical use is mainly done in England and other European countries such as Albania, Bulgaria, Romania, Hungary, Macedonia, and Poland. The collected plant material is dried at a low temperature (up to 35 ° C). The flowers and leaves dry very quickly, while the fruit generally needs longer time and higher temperatures (up to 70 ° C) to dry. The dried plant parts should be stored in sealed containers and stored away from light and moisture. The dried herb can keep its medical properties for up to three years. Until recently, it was mostly the hawthorn berries that were used in herbal medicine and preparations but after it was discovered that the leaves and flowers contain more of the active substances most preparations are now made from a combination of the leaves and flowers and standardized to contain either 2.2% flavonoids, or 18.75% oligomeric proanthocyanidins. Anthocyanin is found in the fruit peel and the fruit contains essential oil, pectin, vitamin C and other substances. The flowers contain the highest levels of flavonoids, while the leaves contain most of the oligomeric proanthocyanidins. As with most medicinal herbs, it is not one specific substance that is responsible for the medical effects of hawthorn but the interaction of different chemicals present in the herb. Hawthorn does not contain active cardiac glycosides. Hawthorn is primarily used to treat ailments related to the heart and blood vessels. 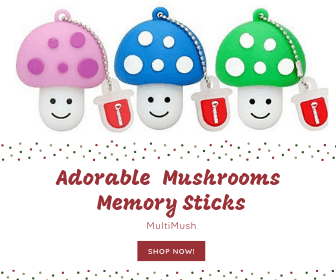 It has been shown to have a mild but positive effect on heart health and blood circulation, making it a good preventive therapy for people with impaired cardiac function. Hawthorn is thought to be particularly useful in the early stages of heart failure. When a medicinal herb has been shown to slow down the progression of heart disease, it should certainly be used more in preventive health care. The ways hawthorn can positively effect the cardiovascular system are many. It is thought to promote blood flow in the vessels around the heart, increase metabolism in the heart muscle, making the heart work more efficiently and to increase cardiac muscle tolerance due to lack of oxygen. Hawthorn extracts are commonly used to treat early stages of heart disease, such as heart failure followed by respiratory ailments and poor peripheral circulation and tendency to develop edema. The heart may have decreased the ability to pump enough blood, usually caused by prolonged high blood pressure, previous heart attacks, diseases related to the heart valves or heart muscle, or chronic lung diseases such as asthma or emphysema. General weakness, fatigue, and shortness of breath are common symptoms of heart failure. Those suffering from a heart disease in its early stages could benefit by using medicinal herbs like hawthorn and supplement like coenzyme Q10. Hawthorn may delay the development of more serious heart disease and delay the need for stronger heart medications. Several double-blind tests have shown that patients with early stages of cardiovascular disorders have increased physical endurance and improved cardiac function (as measured by ECG) after using standardized hawthorn extracts for a few weeks. Hawthorn is also believed to improve circulation in the arms and legs by reducing resistance in the arteries. This is partly due to its ability to inhibit a substance in the body known as angiotensin-converting enzyme (ACE). ACE is related to the formation of angiotensin II, a substance that has a strong astringent effect on the blood vessels. Hawthorn has sometimes been used to normalize blood pressure, not only to treat high blood pressure but to increase blood pressure that is too low. However, it is rarely used as primary medicine to treat high blood pressure. The herb can be prescribed in order to slightly elevate blood pressure and to treat cardiac arrhythmia (irregular heartbeat), especially in the elderly. It may also be used as a treatment for hypertension caused by arteriosclerosis, or kidney disease. In addition, hawthorn has a secondary action as a diuretic, a common symptom of heart failure. Hawthorn can be used to treat or prevent angina pectoris (angina). Angina is defined as a chest pain or discomfort that occurs when the heart muscle receives not enough blood and the oxygen supply decreases. Physical exertion and stress often trigger angina attacks. A study conducted in 1983 showed the applicability of hawthorn extract to treat patients who often suffered from angina. 60 patients were given either 180 mg extract or placebo daily for three weeks. 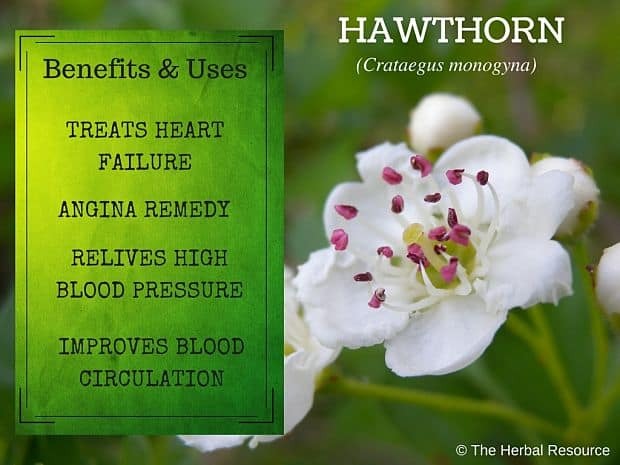 The patients who took hawthorn could train for longer periods without suffering from angina attacks. ECGs showed better blood flow and oxygen supply to the heart in these patients than in those receiving a placebo. Hawthorn dilates the blood vessels and helps to improve blood transport to all parts of the body. The herb seems to have a dampening effect on atherosclerosis, and it can be useful for people who struggle with confusion and poor memory caused by reduced blood supply to the brain. To improve memory hawthorn can be combined with ginkgo (Ginkgo biloba) that also improves blood circulation so more oxygen is transported to the brain. Hawthorn can be used together with garlic (Allium sativum) and arnica (Arnica montana) as a remedy for angina and reduced blood circulation. Coenzyme Q10 can also be used with hawthorn. Since hawthorn is believed to have a good effect on the capillaries in the body, it may be useful for those who bruise easily. However, the herb has to be used for at least 3-4 weeks before any reduction in the formation of bruises can be seen. The leaves, flowers and berries are though to have a relaxing effect on the digestive system. The herb is believed to stimulate appetite, improve digestion and relieve bloating. A decoction made from the berries has an astringent effect and has been used as a remedy for diarrhea. 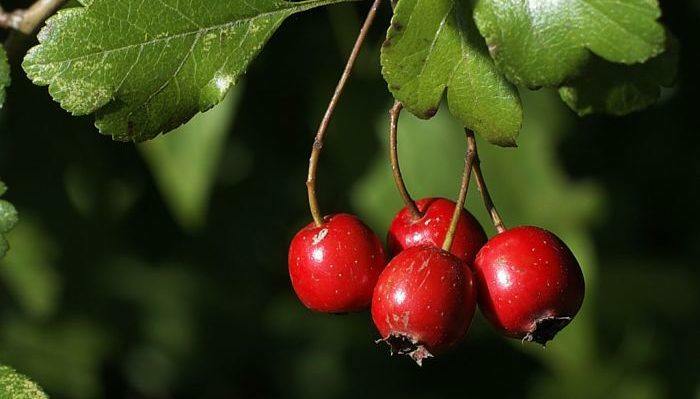 The diuretic properties of hawthorn make it helpful in getting rid of the excess buildup of fluid in the cavities or tissues of the body (edema). In addition, the herb is thought to be useful in dissolving kidney stones. Hawthorn may also be of benefit for those suffering from nervous disorders and palpitations, and conditions associated with it, such as insomnia, anxiety and high blood pressure. A herbal tea of hawthorn is thought to soothe the nerves and induce peaceful sleep. In this regard it is often combined with herbs like lemon balm (Melissa officinalis), oats (Avena sativa) and St. John’s wort (Hypericum perforatum). Hawthorn has also been used to relieve night sweats and other ailments related to menopause. A decoction made from the bark is considered to have astringent properties and has been used to treat malaria and high fever. The recommended dosage is usually 160 to 900 mg in two or three divided daily doses. Hawthorn extracts are normally standardized to contain either 2.2% of total flavonoids or 18.75% oligomeric proanthocyanidins. For commercial products containing hawthorn, the manufacturer’s instruction should be followed. For those who choose to use the herb in a more traditional way, a daily dose of 4-5 g of the dried berries or 1-2 grams of the dried leaves and flowers can be used in the form of herbal tea. If tinctures or liquid extract are used, a reasonable dose can be 20-30 drops in a little water, one to two times daily. It usually takes one to two months before achieving maximum benefits of the herb. There are no known serious side effects when hawthorn is used in recommended doses but it is important to consult a medical professional before using this herb as it must be taken with a focus on its interaction with other medications. Other medications that may interfere with hawthorn are asthma medications, Viagra and Clonidine and other cardiac herbs. 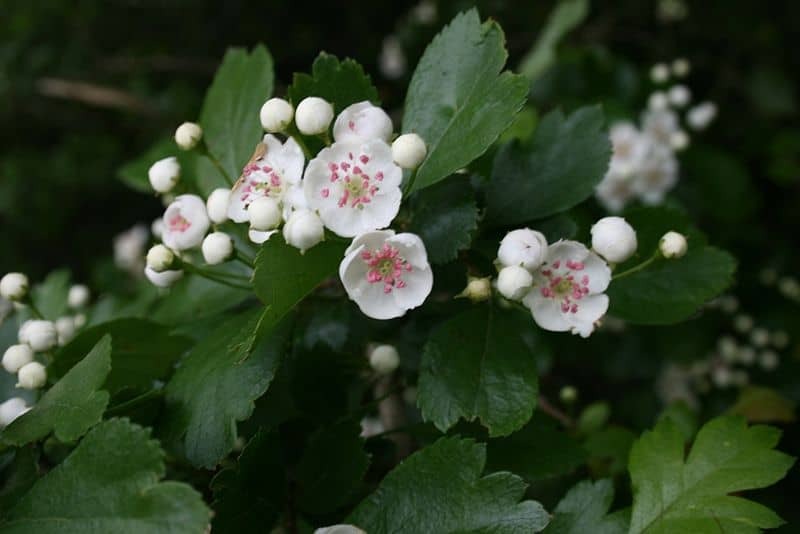 Also, it can possibly increase the action of some heart medications such as beta blockers and antihypertensive drugs, and modification of the doses of these medications may be required during concomitant use of hawthorn. Pregnant women are advised to avoid this herb as it may increase the risk of miscarriage and there is little information on the effects of it on babies and young children. Other side effects of hawthorn are dizziness, insomnia, sweating, and digestive upsets. These side effects rare and usually fairly mild. It should always be kept in mind that heart disease can be very serious and something that should always be treated in consultation with a professional health care provider after a thorough diagnosis and discussion of treatment. Gladstar, Rosemary: Rosemary Gladstars’s Medicinal Herbs: A Beginner’s Guide. North Adams, MA, Storey Publishing 2012. Murray, Michael T.: Natural Alternatives to Prozac. New York, Quill, William Morrow 1999.